So, you are a co-founder of VRgineers. Is that right? Yeah, I’m one of the co-founders. What makes your headset XTAL so unique? Is it a resolution? Let’s say: it’s the best visual experience. It simply gives the best clarity of the picture. Can not disagree. Last week I specially went to Techocon to try it, and I must say that a picture was very crisp. It took some time to adjust it, but it felt pretty good. It definitely looks bulkier that feels. We spent a lot of time to make it balanced and comfortable. Also, I can not share a lot for now, but I can say that the next generation will be even better. Because on the edges the angle and bending of the light beam are so big that it causes different artifacts like chromatic aberration, rainbow effect, stretching of the picture and so on. It’s really very challenging to overcome, but we are doing our best and we are slowly getting there. What is your background? How you started this company? I studied cybernetics, which means both designing PCB boards as well as programming. So you are more on the technical side? How many co-founders do you have? We are three. Martin is in PR, marketing and communication, and Vaclav is in finance, fundraising and a lot of other stuff. How did you meet each other? How did you start? I know that you are also a founder of another company Quanti. Quanti is the first company that I started during my studies at University. And it has grown into being a software development company with more than 50 employees. But I’m not handling it anymore. I handed it over to the current CEO of the company. I was always into software and hardware combination. For example, at university, I did a project with a lot of people that are working here now. It was our own robotic platform and it went well — we got a lot of recognition in many international competitions. At Quanti, we started development of the headset, but it grew up too big. I needed help, so I started looking for partners, people who are committed and are able to put effort and finances and be part of that growth. 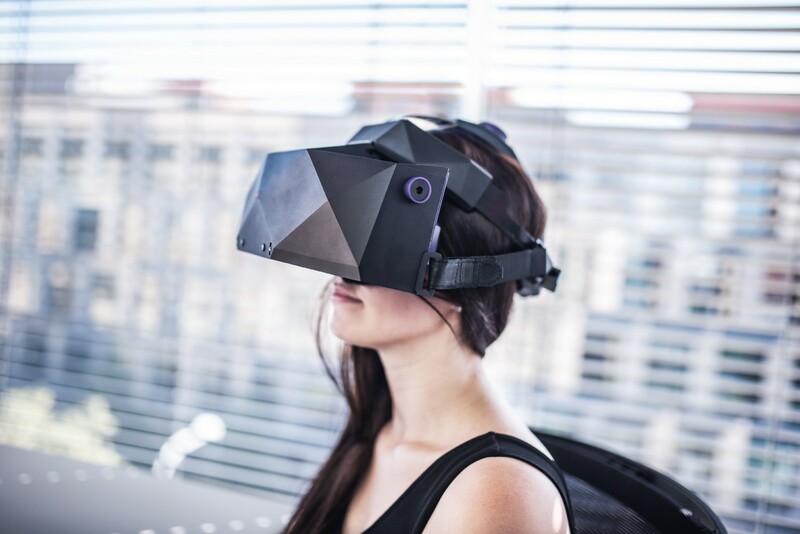 I found my co-founders and together, we established an entirely new company and since then I focus full-time on growth and development of VRgineers and our high-resolution VR headsets. As usual, people are talking about training as the best use case for such powerful headsets. What is your favorite user case? My favorite case is training for helicopter pilots. There are such specific scenarios as transporting large objects. First of all, it’s very hard for a pilot to do so. Secondly, you don’t want to train it in the real world, because it’s very dangerous. Of course, it’s possible to train in conventional simulators where there are big screens only in front of the user, but in reality, the pilot needs to be looking all around and this is the experience only VR can provide. And again controls are very small, so regular headsets like Vive or Oculus don’t have good enough resolution to make them unpixelated. Indeed, for every machine like excavators, planes, helicopters, trains you are not able to use those devices, because you are not able to read basically anything. Are you building own demos for presentations? Yes, for presentations we have own demos. Also, we use professional tools like Autodesk VRED (a tool by Autodesk for automotive design) to show all advantages of our headset in a real professional workflow. I noticed that you are using software and some hardware, like lighthouses from HTC. Do you have your own tracking system? Got it. You focused more on the visual quality of the headset. Yes. We believe it doesn’t make sense to do everything, it is better to focus on one particular thing and push it to make it the best one in the world. 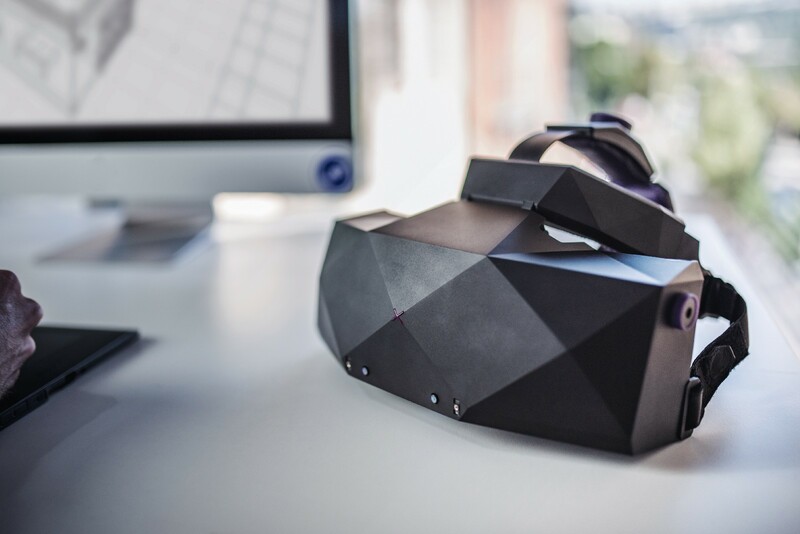 It means that it’s easy for developers to export current experiences for your headset. Yeah. We have plugins for Unity and Unreal, but anything else from SteamVR would work in our headset as well. Maybe some optimization will be required. Like improving the quality of textures and models to make them more detailed to match the quality of a picture on the headset. Yeah. If you create for Vive or Oculus, you optimize models to get the best performance on these devices. And such experiences will not look much better in our headset. But if you do AAA like Fallout, it looks amazing. Generally, our vision is: we are not replacing processes or software in the industries, we are just filling one missing piece of a puzzle and providing technology that can improve the experience. So, on what stage are you right now? We started selling our XTAL headset around a month ago, and now we are shipping first tens of units to customers. Can you give me some examples of your customers? Mostly big automotive brands, like Audi, BMW, Nissan, ŠKODA AUTO. They are using it during prototyping and manufacturing phase. Also, we have flying and other vehicle simulators. What are you using for input controllers? On demo that I tried was voice commands. I see that on this headset you have Leap Motion. Yes, we have Leap Motion for handtracking integrated directly in the headset. Again, we are not manufactures of controllers, we rather scout for best possible technologies available and integrate them. 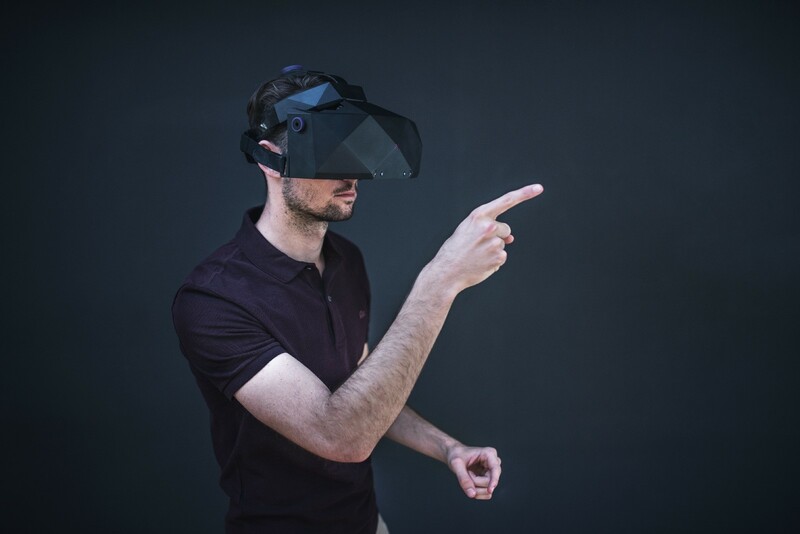 Of course, you can connect Vive controllers but by default, we prefer just hand-tracking because it feels much more natural and is easier for the users as well. 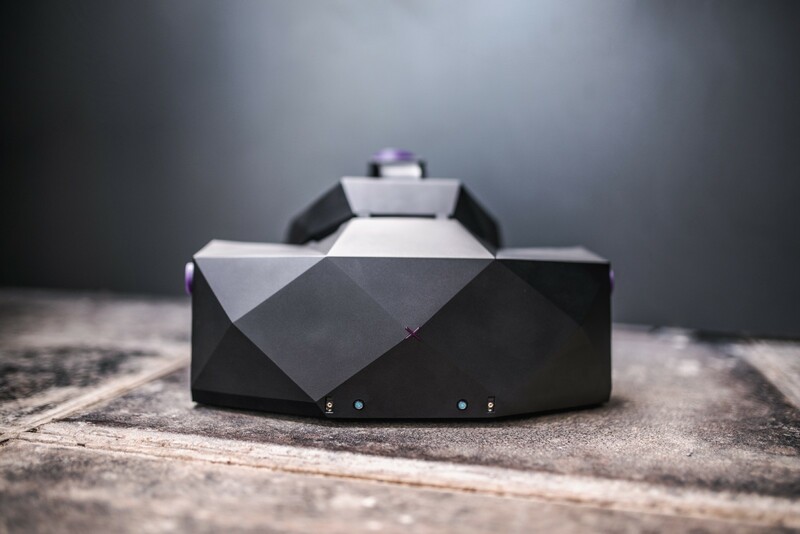 By the way, XTAL is the first commercial headset with fully embedded latest version of Leap Motion. Do you have someone in your team who is working on a design of demos and on how your headset looks like? We have a dedicated colleague in our team who is working on preparing demos. Honestly, in Unreal or Unity it’s very easy to do. For the design of the headset, our construction team worked with local quite famous product designer Jakub Stedina. The newest design of the XTAL and its polygonal crystal-like structure has its own story. At first, it aims for designers, and they are used to work with triangles (polygons). Also, the Czech Republic is well known for making chandeliers using crystals. Every time we showcased our headset we heard from a lot of people that “It has crystal clear image”, or “…crispy image”. 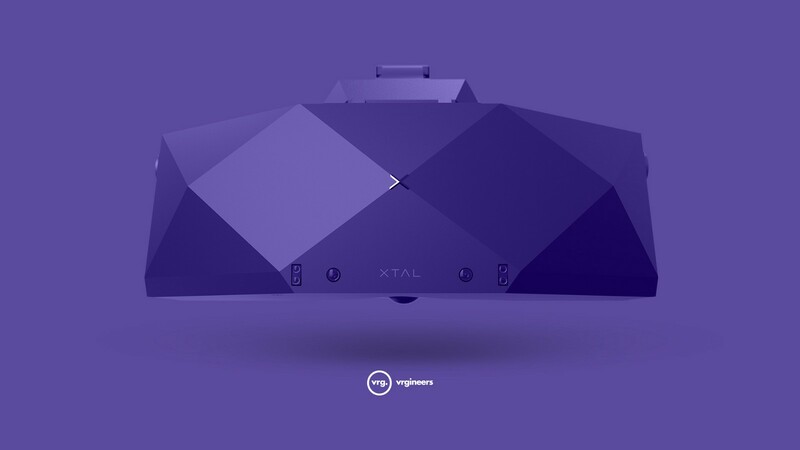 So those are the main ideas that drove the design of the headset (XTAL is the abbreviation of “crystal”). We didn’t want to make another brick with rounded corners that you put on your face, so we wanted to make it as beautiful as possible. Interesting that in such technology-first field people are already so focused on the design of products. A few weeks ago I interviewed Krista from Varjo. And they also trying to make their headset looks beautiful, by applying different unique materials. What is the most difficult technical challenge in building such a headset? It’s definitely about displays. The thing is that bigger resolution of the display doesn’t mean a better quality of the headset. Because it depends on multiple aspects of display itself, like blurriness of pixels, different types of grids of pixels that make picture pixelated or fuzzy. This is the reason why we don’t use 4k displays yet. Because out of our testing right now the best achievable quality of the final picture is using 2.5k displays. Also, I would add that part of our unique approach is an optical system, because our customly developed lenses are a really big thing for us. What is your experience of being a founder of such an innovative company, but being located outside of US? We have a lot of customers there, so we are traveling a lot. For more we have a COO of our US operations there who is managing the customers, events etc. and it helps a lot. Now we are fundraising again, so I spend a lot of time there. I take it as a natural part of the job. What kind of career advice would you offer to younger yourself? I have beet entrepreneur for some time now, and only lately I feel it works only because of experience that I got before. So I would recommend to myself to go for it, keep on trying and learn over time. Are you talking more about successes or failures? You always learn more from failures than from successes. Because when you do something and it works you don’t spend so much time by thinking how it can be improved. Right now the great thing is that we have the best engineering team, full support of our investors, we are three strong and experienced co-founders who are aligned in priorities. These are three things that leave us some space to keep on pushing the boundaries of enterprise VR. So your point is that you need to do as much as possible, as early. And as fastest as possible. Got it. Iterations are important, especially in such fast-growing field that can change every week.